Sheffield post, parcel and print specialist Mail Boxes Etc. helped spread a little Christmas spirit recently by shipping an unusual relic from the nation’s drinking past. 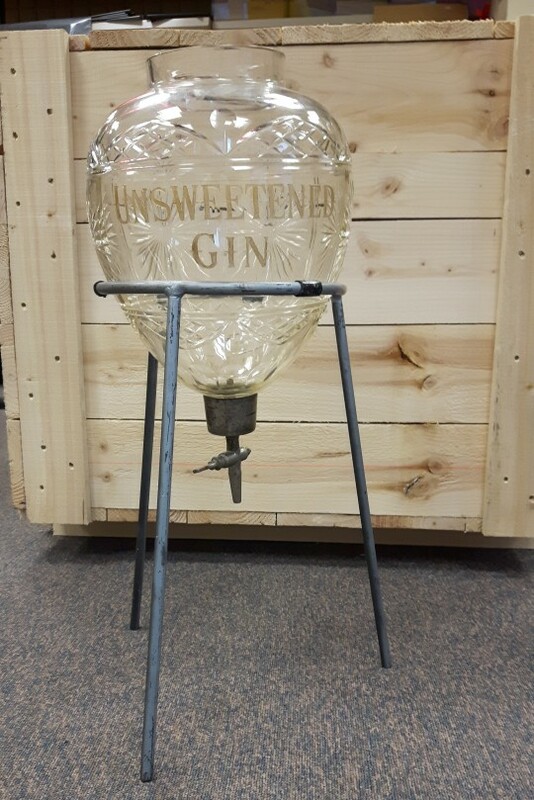 The magnificent cut-glass gin dispenser, sold at auction in November by Sheffield Auction Gallery, was recently collected, expertly packed and despatched to its new owner by Frank Bigley and his team at MBE Sheffield. Known as ‘Mother’s Ruin’ because, thanks to its affordability, it became such a popular drink with the entire nation in the 1700s, gin has a chequered past. These days, however, it is very fashionable – according to the Wine and Spirit Trade Association, sales of gin are expected to exceed £1bn in Britain this year. Mail Boxes Etc. stores specialise in the collection, secure packing and worldwide shipping of antiques, collectables and fine art. Frank and his team wrapped the gin dispenser in tissue paper to protect it, before packing it securely in a large box, to ensure that the lucky buyer received it in one piece.